I usually add a lot of details and decorations, it’s so important to me that the bakings look as pretty as they taste. I’ve tried to make fudge with a thousand recipes, some of them worked out fine, most of them didn’t set at all. There were ones that set super easily but those recipes were kind of cheating in my mind, since they had so much chocolate in them. But I’m guessing it is better to cheat than eat a spoonful of caramel goob. As I said, everything rainbows and unicorns intrigue me at the moment so I wanted to try something super colorful. 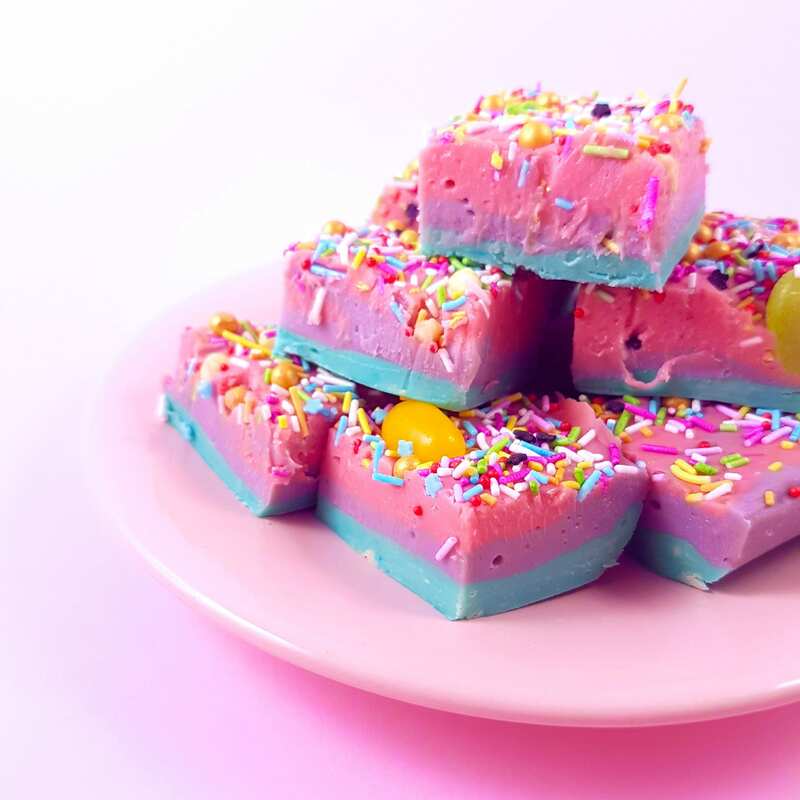 My insta-friend Jo-Lea had done rainbow bacon like fudge before, so I had to try something similar myself. See the super pretty inspiration bacon here. Don’t worry, this recipe is fail proof – it has a ton of chocolate in it. First, you’ll need to melt the chocolate. No sorry, first you’ll need to line the pan with parchment paper, so it is ready when you are. Then off to the chocolate. If you are using bark break it up into small pieces so it melts evenly. Melt the chocolate in the microwave safe bowl in 20 second intervals, so you don’t burn it. Mix it in between rounds until it’s all melted and in liquid form. Melt the butter and add to the chocolate. Now, stir in the condensed milk and stir until everything comes together as a smooth mass. Then take third of the mixture to a another bowl and mix in the desired color. In this phase you need to be quite fast, since the fudge is going to start setting soon. Once you achieve the desired color pour and press it in your pan. Then do the exact same with other colors desired. I chose three, which is quite easy to manage within the time frame before the fudge starts to really set. 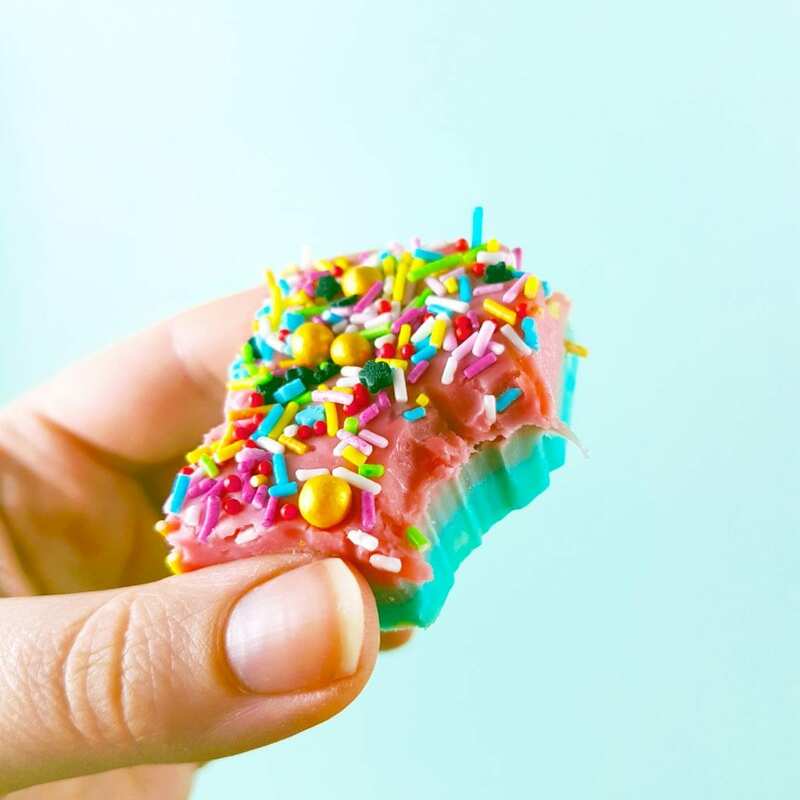 When the last layer of the colorful fudge has been added to the pan, you can now top it off with sprinkles and candies of your choice. The more the better. Tap the decorations down a bit, so they stick to the surface. Once you are pleased with the outcome, pop it in the fridge for 12 hours or if in a hurry to the freezer until set. 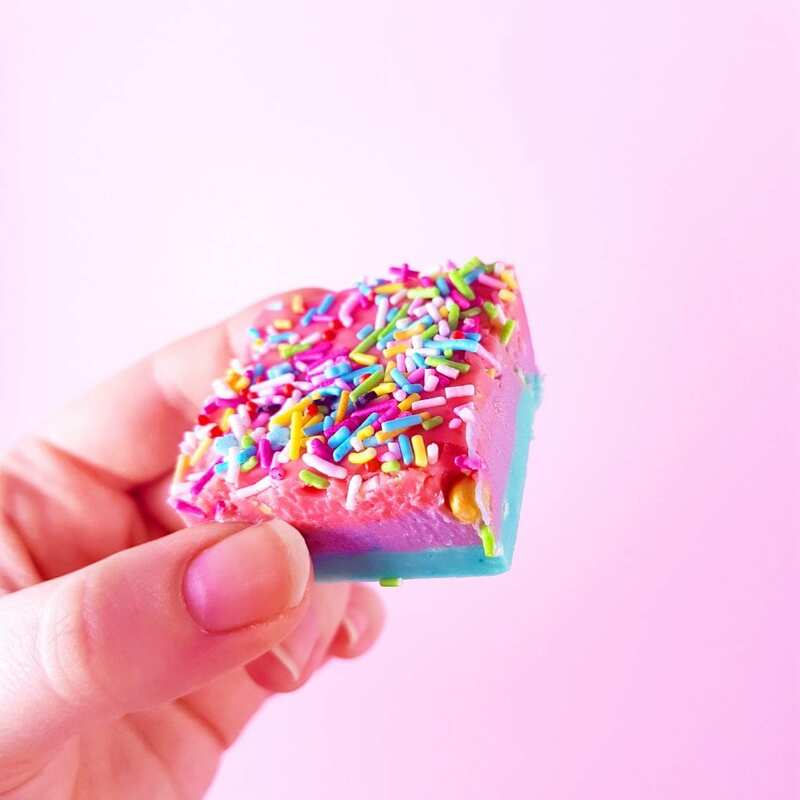 I’d pair this super pretty fudge with a small unicorn themed item, or some of the new kitchen towels to make a perfect and thoughtful gift! I’ve listed some of my recommendations below. 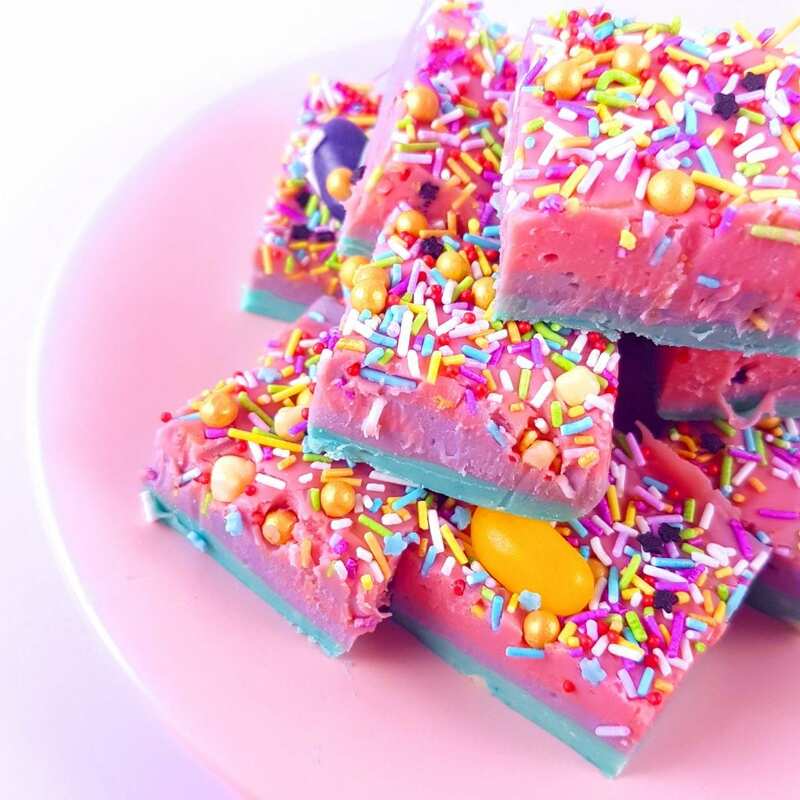 Now enjoy your awesome sugar rush and leave a comment below if you liked or made it! 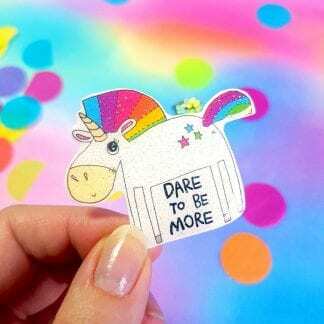 This is part fourteen of the 24 days of LumiWAU Xmas, which includes all kinds of christmassy diy tutorials, gift ideas for the unicorns and some super sweet deals and giveaways. Come back tomorrow at noon and you’ll find treat nro 15!